When a police officer stepped inside a central Baltimore house earlier this month, she found it abandoned. Well, almost abandoned. The only soul inside the house was a dog tied to a doorknob. But Officer Ashley Acord opened that door. She stopped at the empty house on Division Street after noting "suspicious activity" outside, according to the Baltimore Police Department's Facebook post. Inside the house, she found a gray and white terrier mix suffering in silence, his owners having abandoned him. "He was actually groomed pretty well. He didn't show any signs of aggression," Acord told the Baltimore Sun. "He just seemed like he wanted attention." 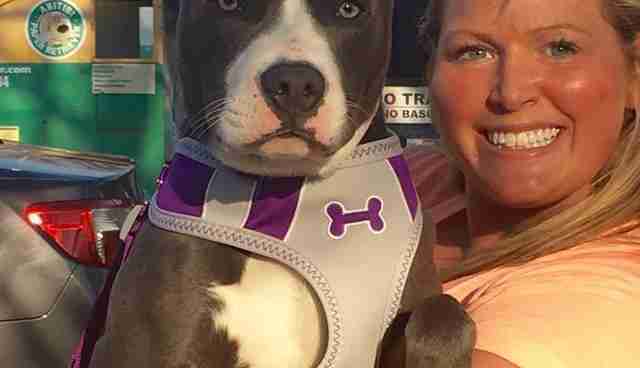 It was just a short drive to the nearby Baltimore Animal Rescue and Care Shelter, but Acord told the newspaper she and the dog bonded instantly. Upon dropping him off there, she immediately filled in the paperwork to adopt him. Three days later, and without a word from his previous owners, Acord took the dog, whom she named Grayson, home. Hopelessness no longer lives in an abandoned house in central Baltimore. All because a police officer opened a door. And then her heart. And then her home. 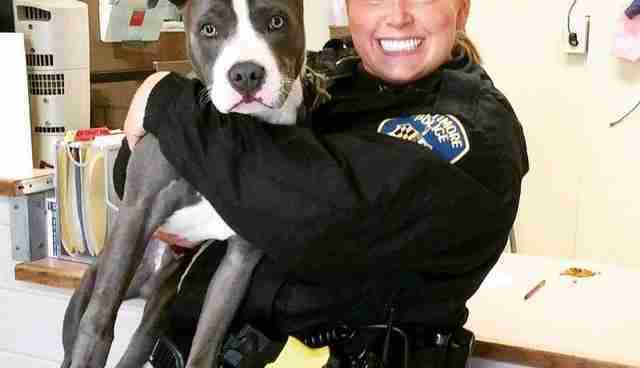 Want to be a hero to an abandoned animal like Grayson? Visit Adopt-a-Pet.com.